2. Peel off the hard cover of jack fruit & cut it into 4-5 pieces. 3. Keep it in a vessel & pressurecook for upto 3 whistles when it is done cut into small pieces. 4. Pressure cook valache dane also. 5. Add oil in a kadhai or heavy bottom vessel. 7. 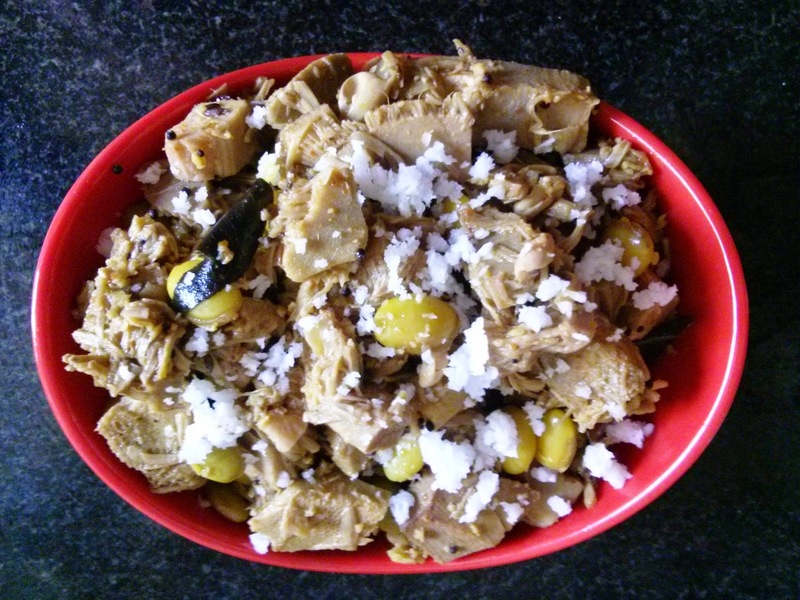 Add cut jack fruit & valache dane . 9. Cover the vessel. Let it cook for some time. 10.When it done properly decorate it with fresh coconut & coriander leaves & enjoy with hot phulkas or rice.